I've made no secret of saying how nervous commissions make me. I do a lot of them and each one is a challenge to create then I hold my breath hoping the customer is pleased with the outcome. This particular commission was requested by a lovely family who met me at an art show. 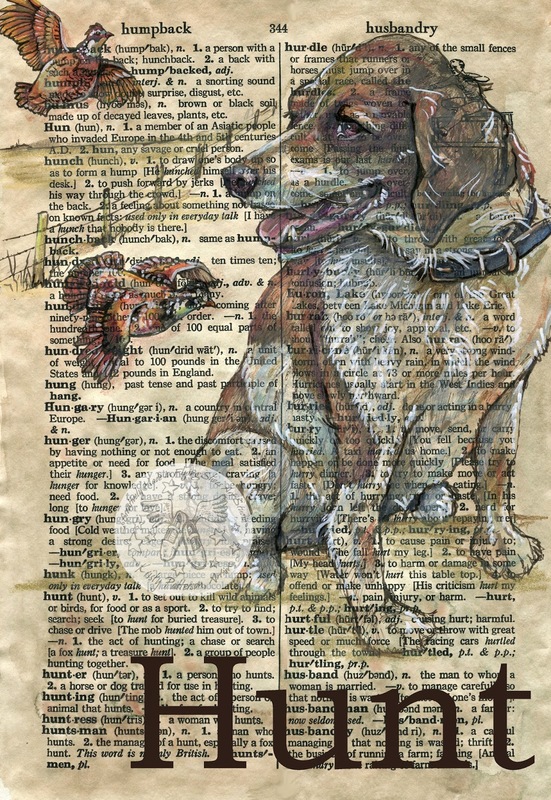 They asked that I try to capture a beloved, hunting dog, Annie for their father. 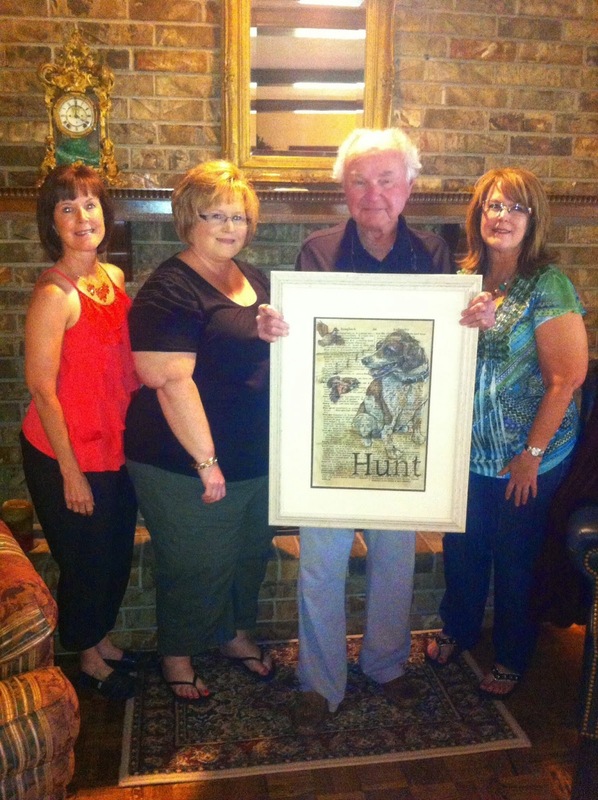 I was thrilled when the family sent me a photo of their father with my finished work. Everyone said it was a wonderful gift. The family sent me a number of photos of their dog and some suggestions of quail they wanted added to the background of their commission. I have to admit, I was also able to use my own, old dog as a model too. We just had to put our dog, Madeline, down after 18 years with our family. It wasn't an easy task even though she was frail, blind and ultimately lost her ability to stand or walk. She was sweet and loving and I miss her a little everyday. Our son-in-law hauled her to the vet in his pick-up and carried her in. She wasn't a small bundle. He brought her wrapped up in her bed. James was all dressed up for work and covered in dog hair but he said he thought such a good dog deserved to die in her own bed. That meant a lot. I understand the value of a good dog. I'm pleased I got to honor Annie.